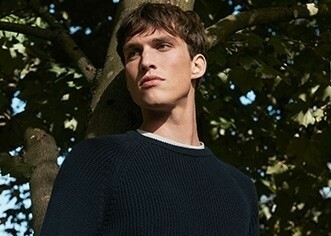 Designed by Sunspel and crafted in Italy. Our sunglasses are handmade in a small, family-run factory at the foot of the Dolomites, where spectacles have been made since 1962. Each frame is hand-polished, made of high quality Italian acetate and fitted with category 3 lenses – the highest standard of UV protection. Keep them scratch-free with our leather glasses case. ​The product is not suitable for direct observation of the sun or for viewing of solar eclipses. Not suitable for protection against artificial light sources (e.g. solaria). Not suitable for use as eye protection against mechanical impacts hazards, during which the sunglasses could break causing injury to the face and eyes. Not suitable for driving at night or twilight or under condition of dull light.